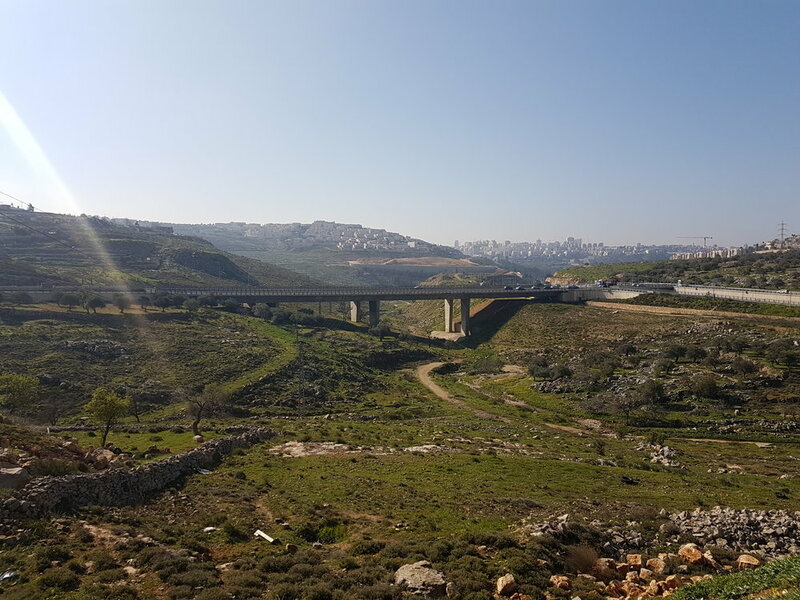 The Saul bridges are located near Atarot and Bet-Hanina in northern Jerusalem and span over Atarot creek. These flyovers are constructed as part of Road 20, which connects City Road 1 North with National Road 404. These two bridges, with total lengths of over 200m are divided into 4 spans, the longest of which is 55m. The superstructures are made of a concrete box girder 3.3m deep. Two methods were used to construct each of these bridges: The two end spans were in-situ concrete and the internal spans were built with a progressive Cantilever-Forming-Traveller (CFT).